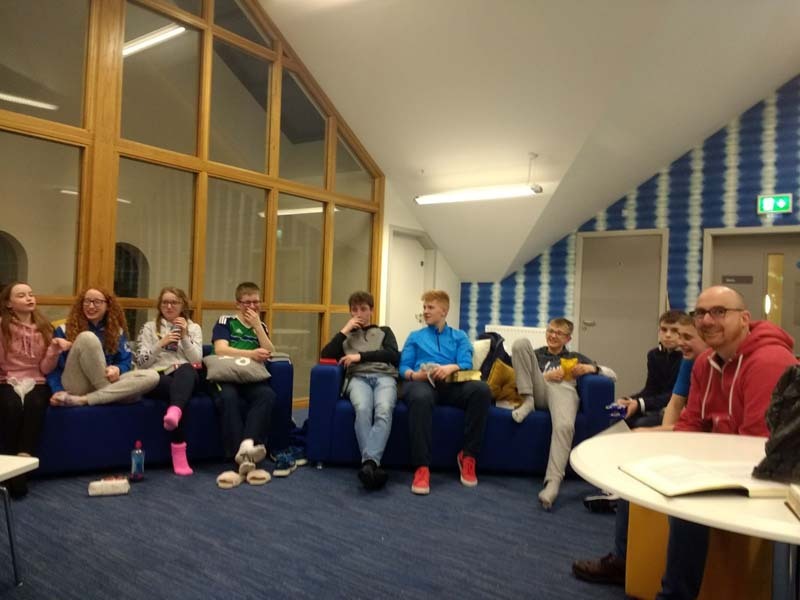 In Youth Fellowship we are great friends who enjoy a varied programme of activities during the year which include Sunday evenings studying God’s Word through Bible Studies and a time of prayer. This is a valuable time for each of us to have fun and fellowship with friends and spend time learning more about God’s Word. We have lots of nights out during the year including dining-out at Pizza Pomodoro with a feast of Pizzas and Garlic Bread and enjoying a great night’s craic. The food was good and everyone went home feeling ever so slightly overfed! 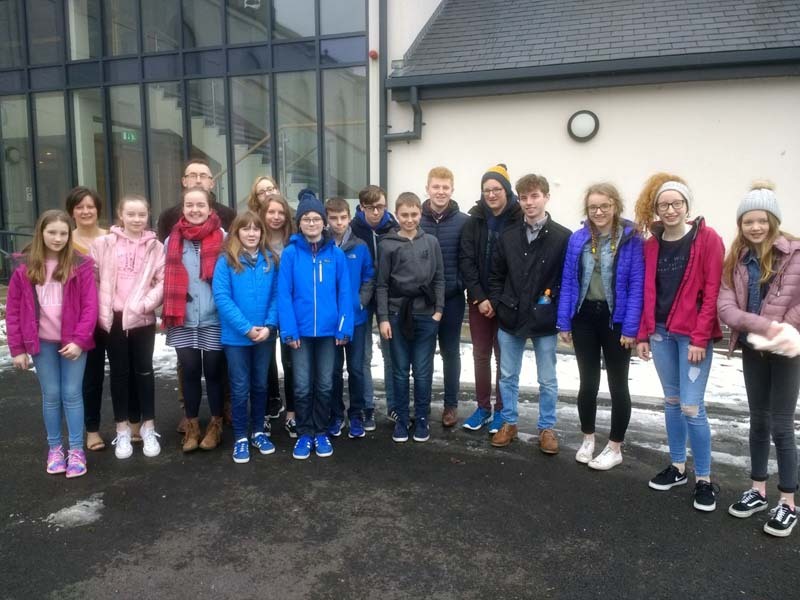 Our Youth weekend away was one of the highlights of the year with great times and not so much sleep! We had fun on the slides and the lazy river at Lisburn LeisurePlex followed by a snowball fight!! 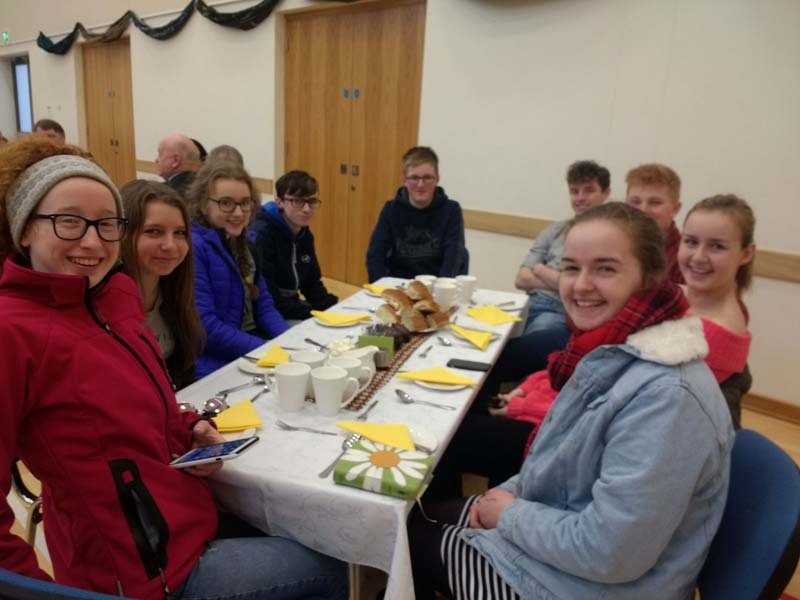 A £1 challenge shop, loads of games, a wonderful fellowship time of worship and challenging talk gave everyone much food for thought. We have great nights with Fusion, when we meet with other local Youth Fellowships and recently we hosted a Dutch Auction where bidding reached an all-time high for Moneydig! In Youth Fellowship, we like to reach out to others, we sponsor Senayit, a girl from Stand by Me, through prayer, writing to her and financially giving of our money each month. We also Carol-sing around some of the Nursing Homes and to the elderly who find it difficult to get out and about. If you are Year 8 or above, please come along to the many events that we are planning in the months ahead.